Don't miss a night of networking at our February After Hours Networking & New Member Showcase! 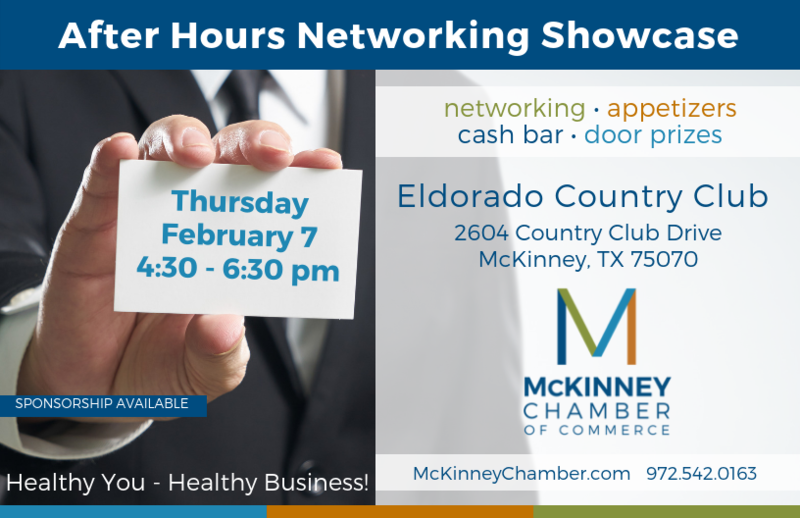 Stop by Eldorado Country Club and enjoy great food,networking and help us welcome some of our newest Chamber members. This quarter's theme is "Healthy You - Healthy Business" . Presenting Sponsorship available as well as limited exhibit tables for those wishing to participate as an exhibit sponsor.